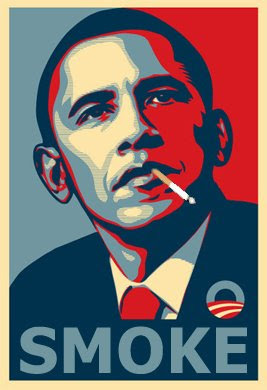 Smoker in Chief Barack Obama praised the Big Tobacco grab today as he signed legislation that will give government unprecedented authority to regulate tobacco products. Congress sent legislation to the White House Friday granting the federal government unprecedented authority to regulate and restrict cigarettes, the single largest cause of preventable death. President Barack Obama quickly expressed his support, appearing in the Rose Garden almost immediately after the House gave final approval to the bill giving the Food and Drug Administration control over tobacco production, marketing and sales. Michelle Malkin adds: What know-nothing crony will they put in charge this time? Maybe when Brian Deese and Edward Whitacre are done fixing the auto industry they know nothing about, the White House will make them tobacco execs.